Matthew Dowd is no squishy liberal, a “snowflake.” He’s a long-standing Republican political operative. He also serves as a broadcast and cable news “contributor” and, yes, he is a Donald J. Trump critic. “Benghazi” involved a terrible firefight that occurred at a U.S. consulate in Benghazi, Libya on the watch of then-Secretary of State Hillary Rodham Clinton; the “Clinton emails” also involved the former secretary’s use of her personal email account while serving in the State Department. The Mueller investigation? 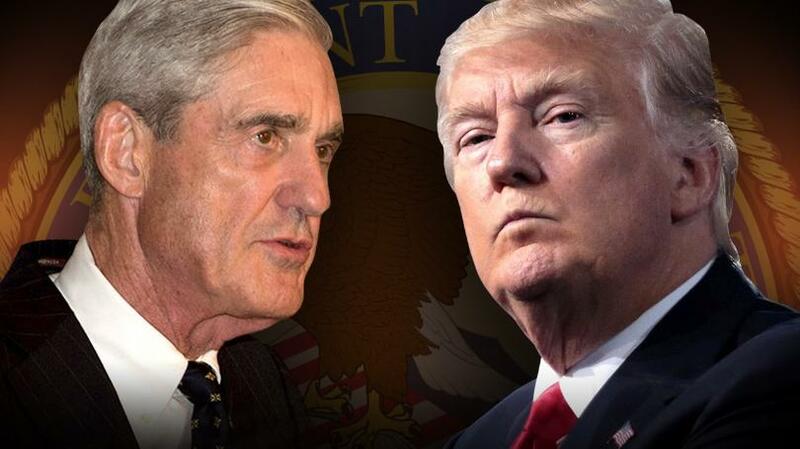 Well, it’s that probe that is occurring at the moment to explore questions relating to Trump’s presidential campaign and its possible relationship with the Russian government … among other things. GOP hardliners want Robert Mueller’s probe to end. Now! They forget about the length of time they insisted on maintaining while GOP members of Congress looked at Hillary Clinton’s conduct. All that time, money and effort produced zero indictments. None, man! Mueller — who, by the way, also is a Republican — so far has harvested a much healthier crop of criminal complaints. And, no, this isn’t a “witch hunt.” It is a serious investigation being conducted by a serious public servant. James Comey continues to make the turn. Hey, he might make a full circle before this drama is finishing playing out. The former FBI director once was hailed by Donald Trump when Comey revealed he had more information to explore regarding Hillary Rodham Clinton’s use — or misuse — of her personal email account while she was secretary of state. Eleven days before the 2016 presidential election, Comey tossed the outcome into serious confusion mode with the revelation about the so-called new evidence. Trump was ecstatic. The GOP nominee bellowed that Comey had done his job well. Then came the news that Comey said there was nothing more to investigate. Case closed. But the damage well might have been done to Clinton’s campaign. Then the new president took office. He allegedly sought some assurances and a reported pledge of loyalty from Comey. He didn’t get them. Then the president fired Comey from his FBI job. Ever since, Comey has been called everything but the Son of Satan. Ahh, the fortunes do turn dramatically. Now the ex-FBI boss has written a new book. He told ABC News that Trump “might have” obstructed justice. He called the president “morally unfit” to serve. I don’t know about you, but I intend to hold with both hands for the foreseeable future as this dispute plays out. If it ever does! 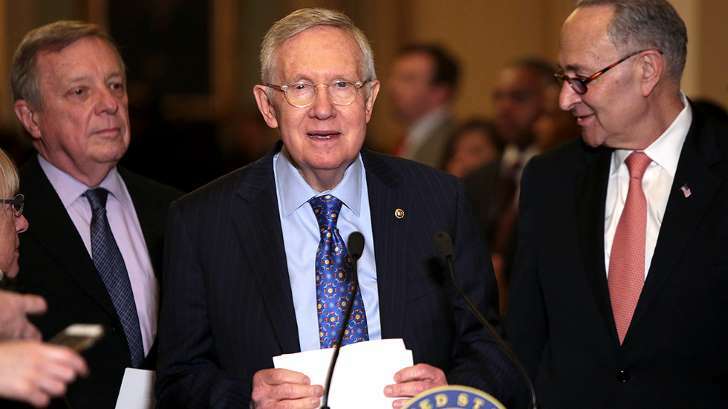 Harry Reid isn’t long for the U.S. Senate. He’s retiring in a few weeks from his role as Democratic leader, but he’s going out with a bang. I believe it’s time that Reid and his fellow Democrats realize what some of us out here — yours truly included — are beginning to understand. Hillary Rodham Clinton lost the presidential election because Donald J. Trump outhustled her in the waning days of a bitter campaign. FBI Director James Comey’s 11th-hour letter to Congress declaring he was looking into more e-mails might have had some effect on the outcome. However, I do not believe he fired the kill shot at her campaign. Reid blames Comey almost entirely for Clinton’s loss. Trump took the fight to Clinton in those so-called “swing states” and grabbed them from Clinton’s column. Wisconsin, Pennsylvania and Michigan should have voted for Clinton. Voters there went the other way because she didn’t pay enough attention to them at the end of the campaign. It’s called “retail politics,” which describes how candidates show up to shake hands, kiss babies, eat rotten “food” at fairgrounds. In other words, voters like to believe the candidate feels for them. As for Trump, well, he had those yuuuuge rallies that got all kinds of air time and newspaper print space. Does any of this mean the better person won the presidency this past month? It only means the better candidate did. I will not accept that Trump is suited temperamentally — or any other way, for that matter — for the office he is about to assume. However, I am willing to accept that he and his campaign team outsmarted their opponents down the stretch. Trump, therefore, delivered the final shock to many of us in a campaign full of shocking moments. What in the world is Trey Gowdy hoping to find in those mysterious emails filed by Hillary Rodham Clinton? “Benghazi” has become shorthand for the Sept. 11, 2012 terrorist attack on the U.S. consulate in Benghazi, Libya. Four Americans — including the U.S. ambassador to Libya — died in the attack. Congressional critics of Clinton have contended she covered up what she knew in advance of the terrorist attack. She’s denied any such thing and has rejected allegations that she didn’t do enough to protect the personnel who were attacked. Those pesky emails, according to Gowdy, might shed light on the incident. Gowdy chairs the Select House Benghazi Committee, which until now had come up empty in its search for Clinton culpability in the attack. Now that HRC has revealed that she used a personal email account instead of the State Department account while she served as secretary of state, Gowdy smells a rat — at least he thinks he smells a rat. Gowdy is demanding that Clinton’s lawyer turn over her email server to an independent third party to examine its contents. I remain quite dubious that Congress is going to find anything that incriminates Clinton. Having said that, it’s probably a good idea for Clinton’s lawyer to do as Chairman Gowdy is asking/demanding/pleading. Perhaps then we can put “Benghazi” to bed — for keeps.